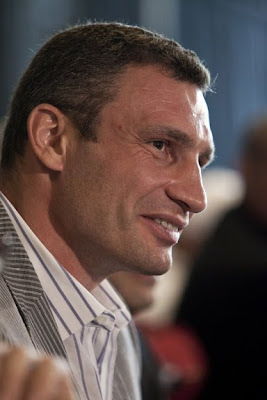 Congratulations to WBC boxing champion of the world, Vitali Klitschko. Vitali retained his WBC title over challenger Chris Arreola after the fight was stopped in the 10th of 12 rounds of boxing. Arreola was clearly over matched by the more powerful and skillful Klitschko. After the bout, Vitali gave praise to the younger and tearful Arreola. The match was held at the Staples Center in downtown L.A. Both fighters claim L.A. as their new hometown. Arreola is from Riverside, CA, and Klitschko hails from the Ukraine.